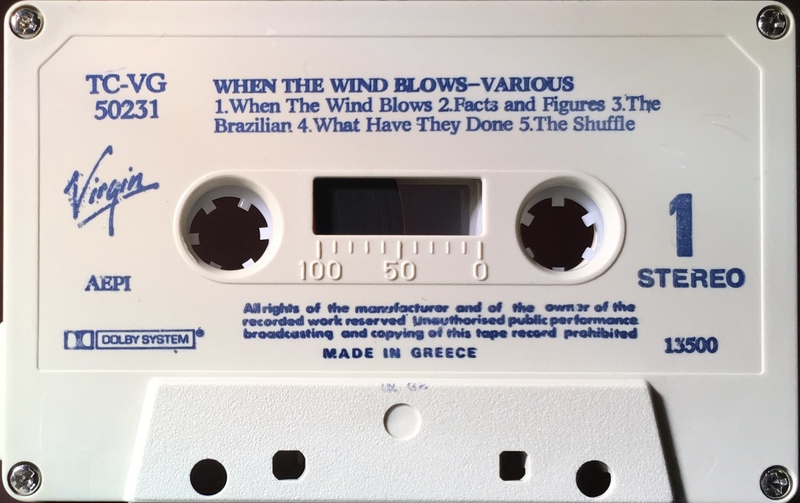 When The Wind Blows: Greece; Virgin, TC-VG 50231; 1986. 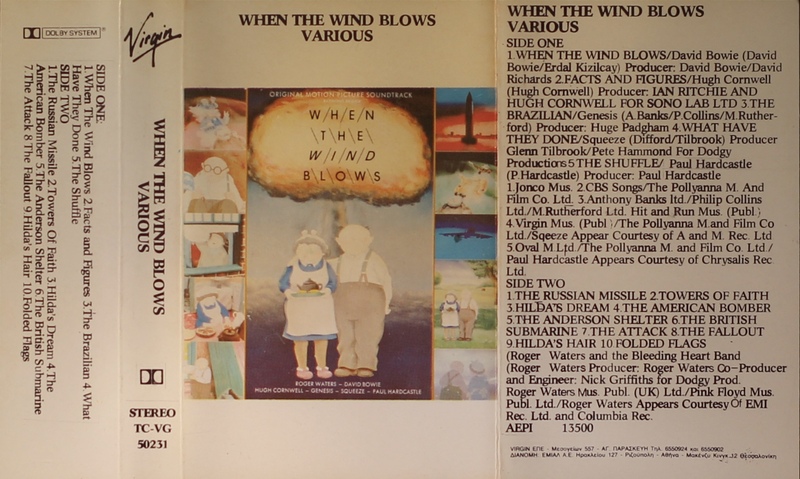 ‘When The Wind Blows. Various’. Cover picture bordered in white with all white panels on folded, thick paper with track list on the inner and rear half-panels. 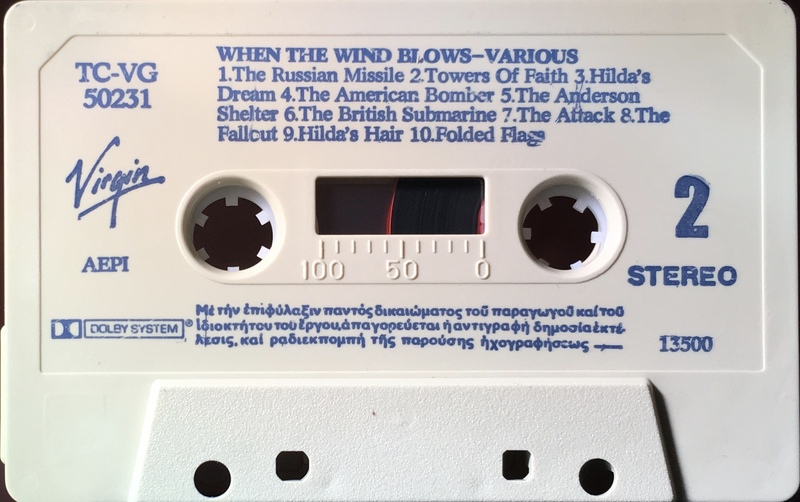 Blue ink printed directly to white shell with ‘Virgin’ logo and information in English on one side and Greek the other. AEPI 13500 and ‘Made In Greece’.